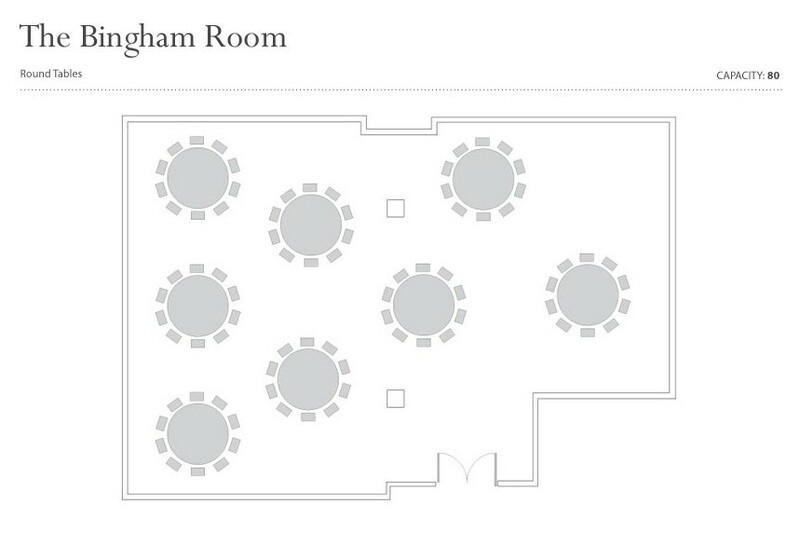 Located on the first floor in an adjoining building opposite the Hall, this exclusive and versatile banqueting room provides a peaceful view overlooking the beautifully landscaped squares. 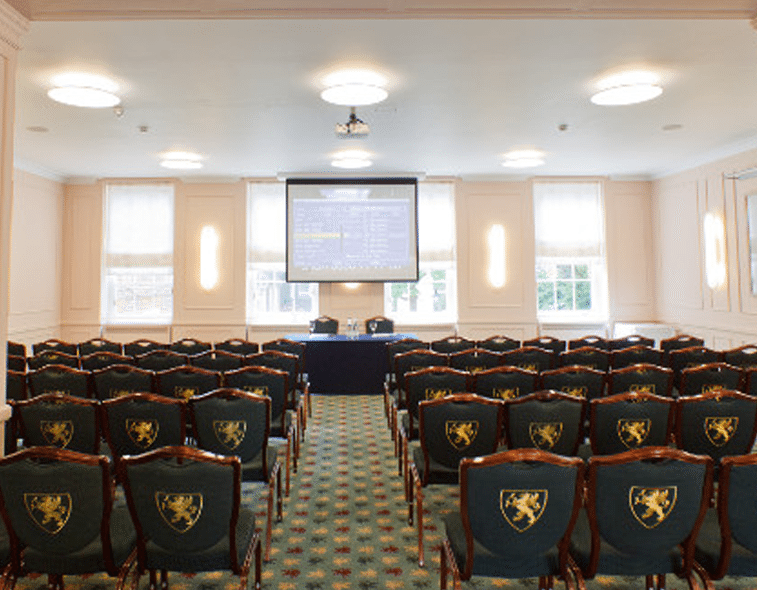 The Bingham Room boasts the latest integrated AV equipment, including a PA system, LCD projector, screen and AMX touch panel. 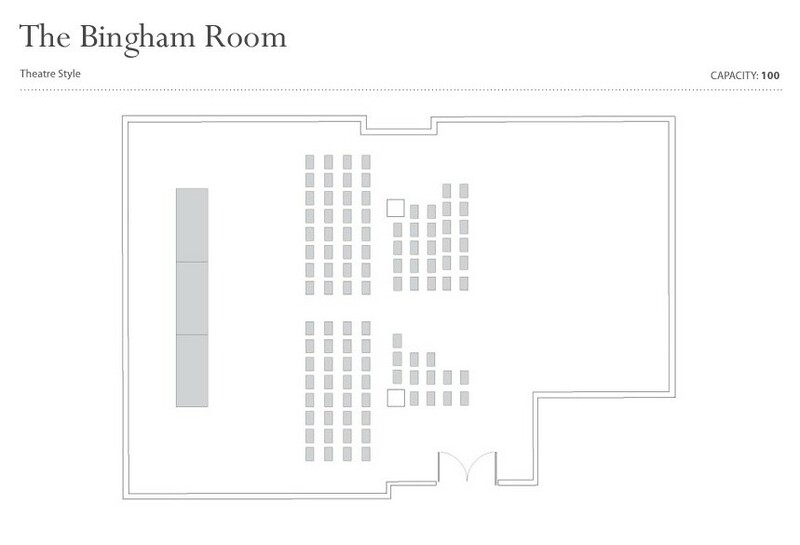 It also has direct access to kitchen and catering facilities and can be used in conjunction with the adjacent Bridge Bar, making it an ideal setting for theatre or boardroom style meetings, seminars and lectures. 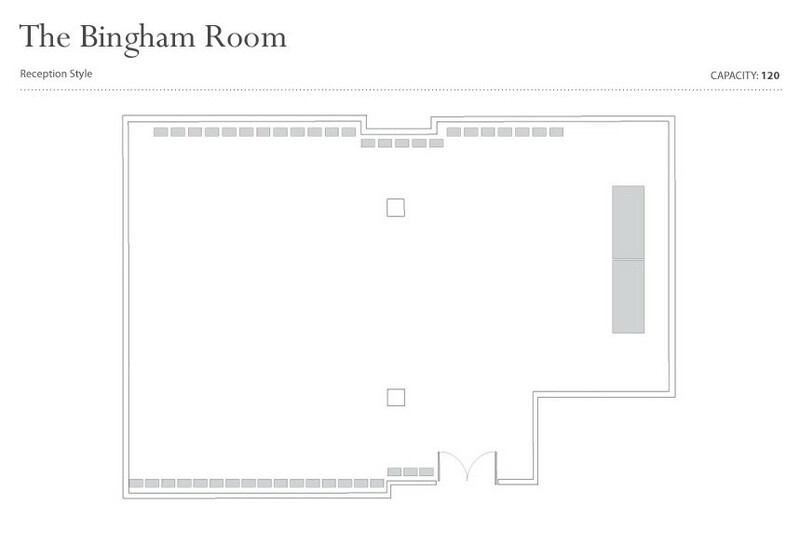 The Bingham Room takes its name from the late Thomas Henry Bingham, Baron Bingham of Cornhill, Bencher of Gray’s Inn, who sadly passed away on 11th September 2010. Statement from Lord Hope, Deputy President of the Supreme Court of the United Kingdom on behalf of the Justices of the Supreme Court. 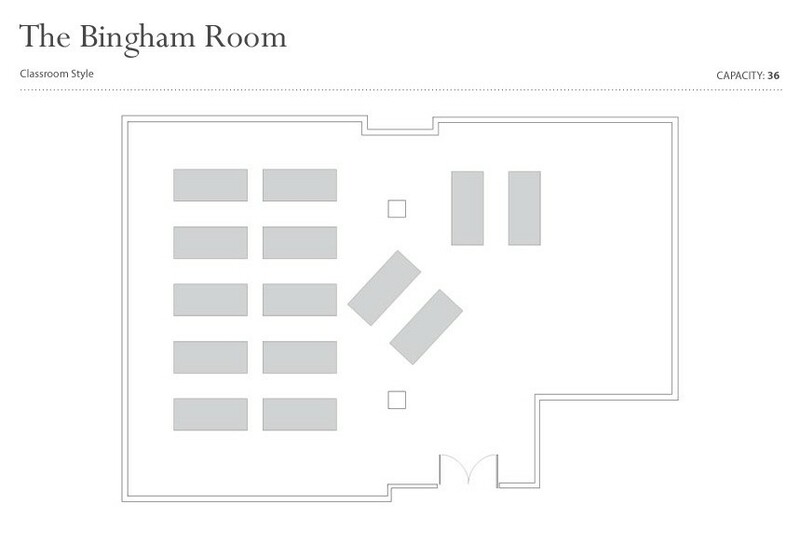 The Bingham Room is available to hire all year round, including Bank holidays. 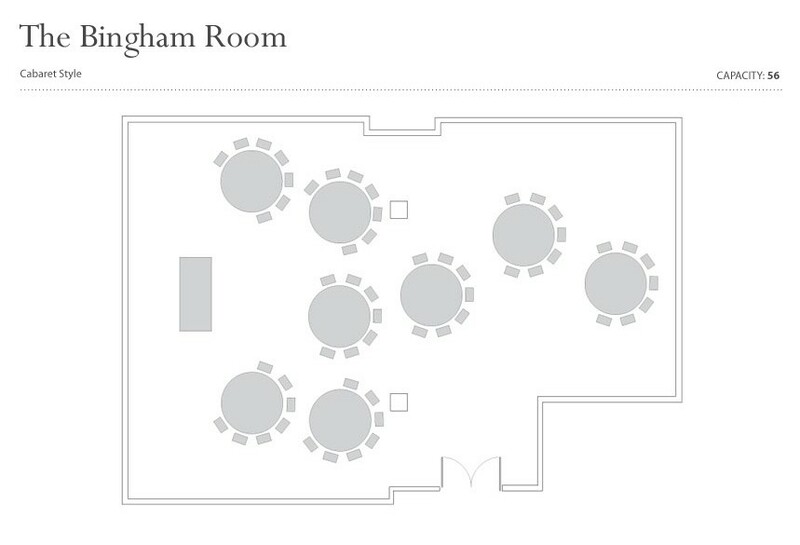 The Bingham Room is suitable for small wedding receptions at weekends, using the adjacent Bridge Bar for pre dinner drinks. 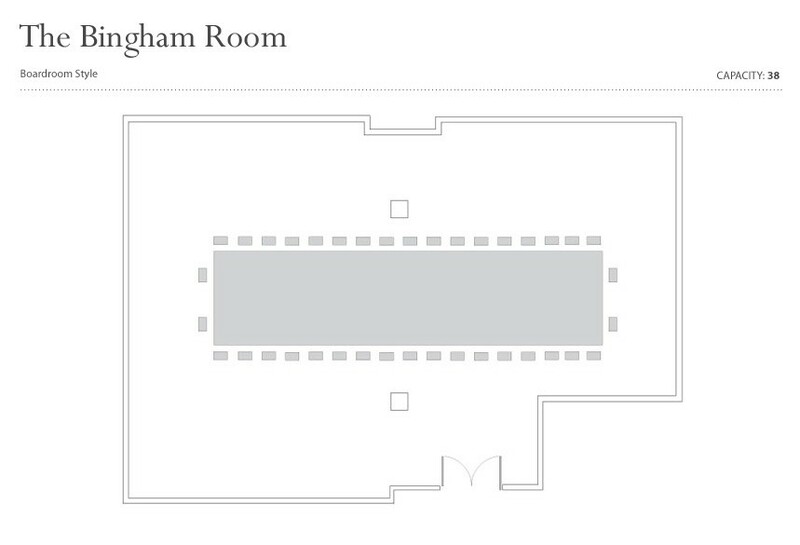 Please note the Bingham Room is not licensed for civil ceremonies, please contact the banqueting team to discuss availability of rooms which are licensed. We offer full and half day hire rates. 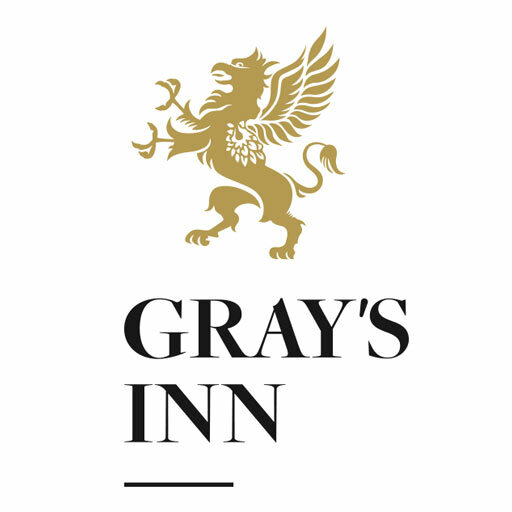 Alternatively we offer Day Delegate packages. For specific information, or to check availability and the best rates available for your event please contact the banqueting team.